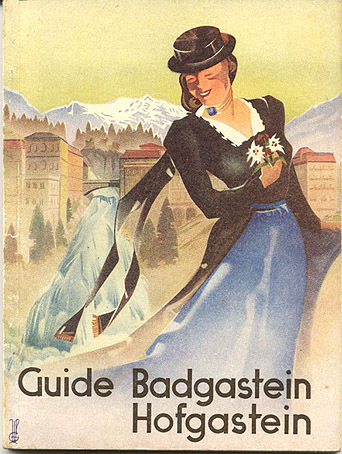 Travel guide to "Badgastein - Hofgastein," circa 1936. Published by Karl Kruth, Bad Gastein." Signed "Gumpold - Böckstein." Printed by "R.Kiesel, Salzburg." Front cover.